At BIAFF 2010 Guido Haesen won a Diamond Award and Best Photography Award with A Vanishing Wilderness. Making a short captivating documentary is always a challenge for my other half, Suzy Sommer*, and me. Unlike professionals, we are not bound to a contract with strict rules on the length of the final product, the message to deliver, the sensitivities of the audience, etc. We try to imagine what could possibly happen in front of our camera and what story could result from the takes. It is for us, video-amateurs, a question of calculations and pure luck. 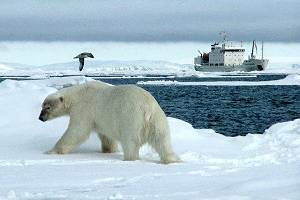 Calculations in the sense that the optimal period of the year is chosen to see, for example, polar bears in Svalbard. Luck because the weather can be dramatically bad in that part of the world, even in the middle of the summer. Some 10 years ago, we travelled through the north of Canada in November and spent some days in Churchill. This very quiet settlement near the Hudson Bay becomes a dazzling town for about three weeks. Tourists from all over the world arrive by plain or train to observe a unique nature event. A considerable number of polar bears stroll in and around the municipality. They wait patiently for the pack-ice to form on the Hudson Bay so that their voyage to the north can start. The prospect of fighting males, wandering females with two, even three cubs and playing youngsters in the snow, is very impressive. But November in Manitoba can be very dull and grey. We returned to Luxemburg with very few good shots of polar bears, but with a lot of interesting experiences on the photographic possibilities of my Beaulieu ciné camera. Estimating that the weather could be reasonably sunny in August 2008, we decided to take our chances and see the "King of the Arctic" in its element. 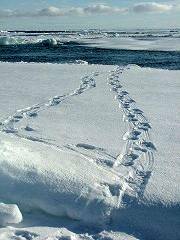 At this time of year the polar bears hunt on the pack ice around Svalbard (better known as Spitsbergen). We booked a cabin on one of the few expedition vessels operating in the area and adapted to cope with sailing in the icy waters. Zeus and the weather gods were apparently in a good mood. During the whole trip, we enjoyed sunny, dry weather and perfect sea conditions. On top of this ideal situation, the wildlife was abundant. 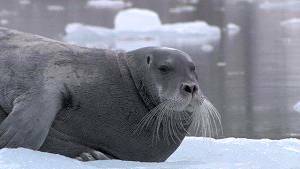 Polar bears, seals and walruses appeared on ice floes, in drift ice, in the water, as well as on land. Christian Kempf, a well known French expert on the Poles, guided the rubber boats in such a way that the animals did not alter their behaviour because of our presence. 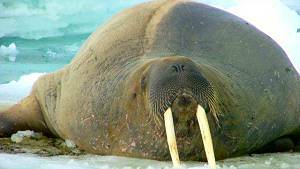 Being a convinced ecologist, he always kept to the strict provisions of the Svalbard Environmental Protection Act. 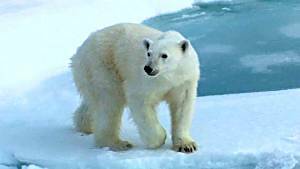 Although we had close encounters with polar bears, the limits were never violated and that can clearly be seen in the recorded video material. From a technical point, the white balance was fine-tuned several times each day, to obtain an accurate colour display under different lighting conditions. My Canon XHA1 recorded only in manual mode. Most shots were deliberately slightly overexposed in order to distinguish the white bear from the ice. A tripod was always used, even in the rather uncomfortable zodiac. Professional people recommend turning off the "image stabiliser" while working with a tripod. I did not follow that advice and recorded only with the "image stabiliser" in the ON position. We returned to Luxemburg with 10 hours of excellent HDV footage. In my first approach, I cut it to a 12 minute video, which basically used the vessel and Christian Kempf as the story line. The French commentary was perfectly delivered by my friend Vincent Courtin and the production was awarded "best commentary" at the film festival "LE JET d'OR 2009", Geneva, Switzerland. Normally, I subtitle such a film in German and/or English and try my chances in other festivals such as Ebensee, Lily Guernsey, BIAFF, but Jean Pierre Hué** gave me a better idea. He advised me to re-edit the film by focussing, as a neutral observer, on the wildlife. 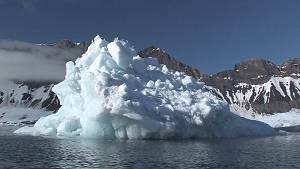 All the shots with reference to the vessel and the polar expert Christian Kempf, were cut and the new version of my video focussed on the 2008 summer situation of living on ice. Derek Rose, a colleague of mine here in Luxemburg, delivered the text in such a way that I have been asked at different occasions, if I used a professional speaker! What a compliment. I am very pleased with both versions of A Vanishing Wilderness. Constructive comments from club members, film amateurs, spectators (e.g. Belgian friends) and judges invite a convinced amateur to re-think and re-edit his production. That is the main reason why I love to participate in those competitions which provide a written judgment, knowing that such constructive recommendations by judges demand a considerable effort from those who try to make our hobby worthwhile. * Suzy Sommer headed for a warmer destination and writes about her 4-Star winning film A Fascinating Journey here. ** Jean-Pierre Hué helped to run the fifa wildlife film festival and writes about his Diamond winning film In the Grip of Khat here.